Eggplant, garlic and parsley. Seeing it like that it looks very simple. But it is so more than that! Our slow roasted Baba Ganouj offers a complex and deep taste to enjoy with every meal of the day. Waring: Super Hot and Tasty! 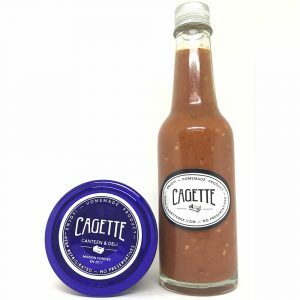 Cagette finest selection of local chilis, blended with oil and garlic. 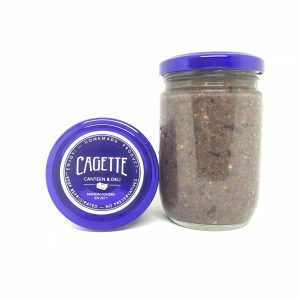 Try out our Cagette recipe for all your preparation. Simply slow cooked tomatoes simmered with Rosemary, olive oil and garlic. Mmmmh! 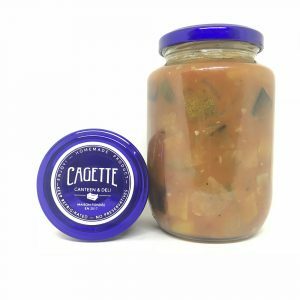 Cagette Traditional “Provencal” vegetable stew, cooked through our fresh herbs, garlic and olive oil. Fresh recipe from Ligurie (North Italy). 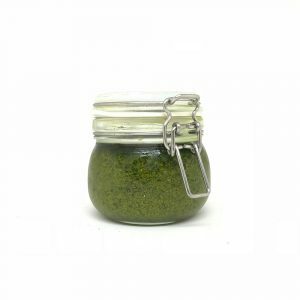 Cagette homemade blend of fresh Italian basil, olive oil, garlic. Hummus Is Crazy Healthy! This dip is not only healthy because of his high fiber and protein, it is crazy good. 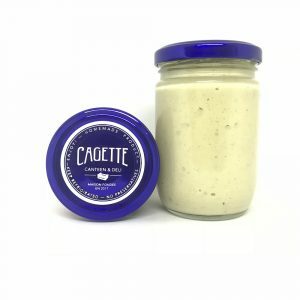 You can dip everything in our Cagette Hummus, it will always taste great! 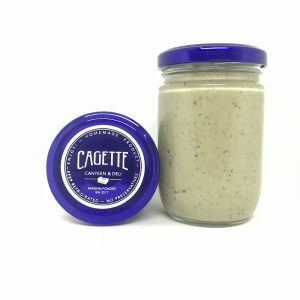 Our Cagette Tapenade is not like the others? It is vegetarian! Greek olives crushed with fresh basil, olive oil and nuts? Yummy for everybody. Eggplant, garlic and parsley. Seeing it like that it looks very simple. But it is so more than that! Our slow roasted Baba Ganouj offers a complex and deep taste to enjoy with every meal of the day.